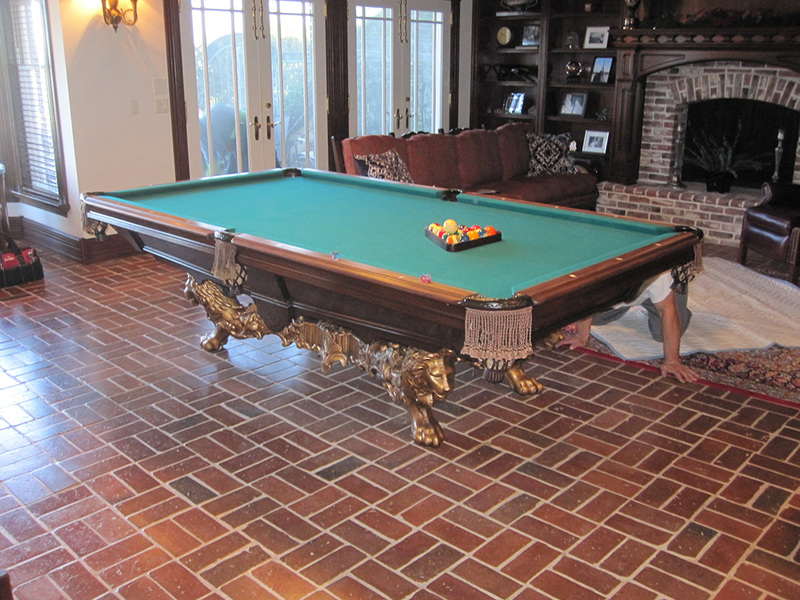 We were called out to Newport Beach, CA last week to do some work on this beautiful nine foot Golden West “Victorian”. 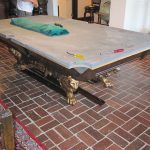 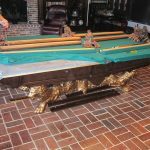 This pool table is a replica of the original Brunswick “Monarch”. 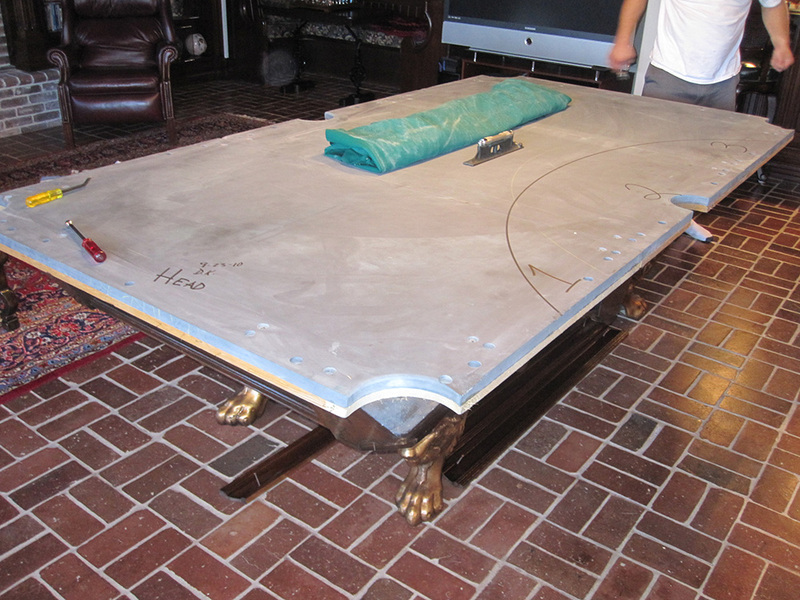 Our client has hired us to replace the cushion rubber, refelt the rails and bed with new Mali 10820f “speed cloth”. 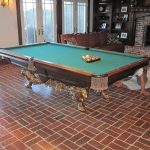 The leather pockets are original and are starting to become brittle, we will also be replacing them with a new set of level best hand carved leather pockets. 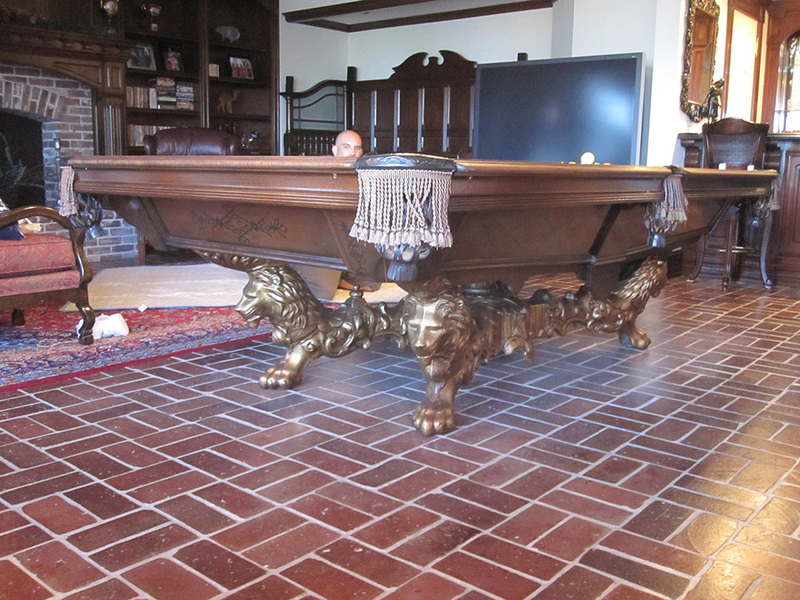 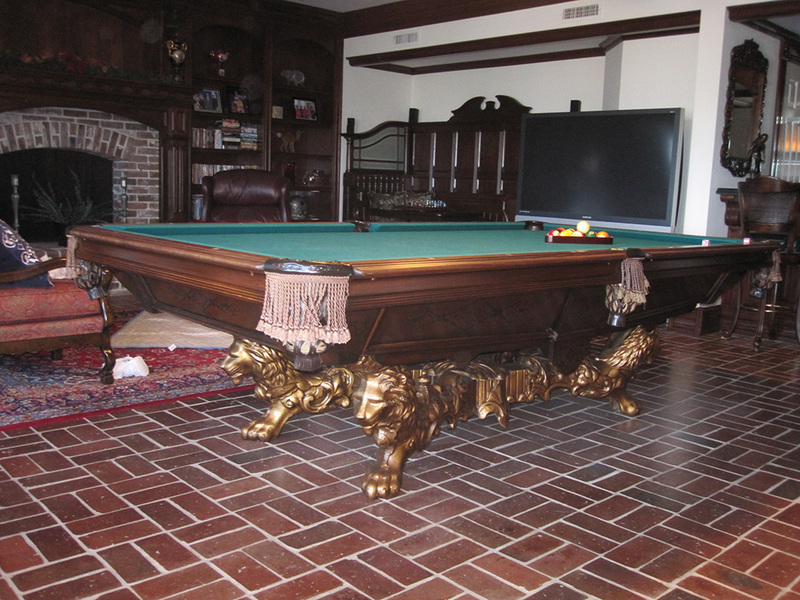 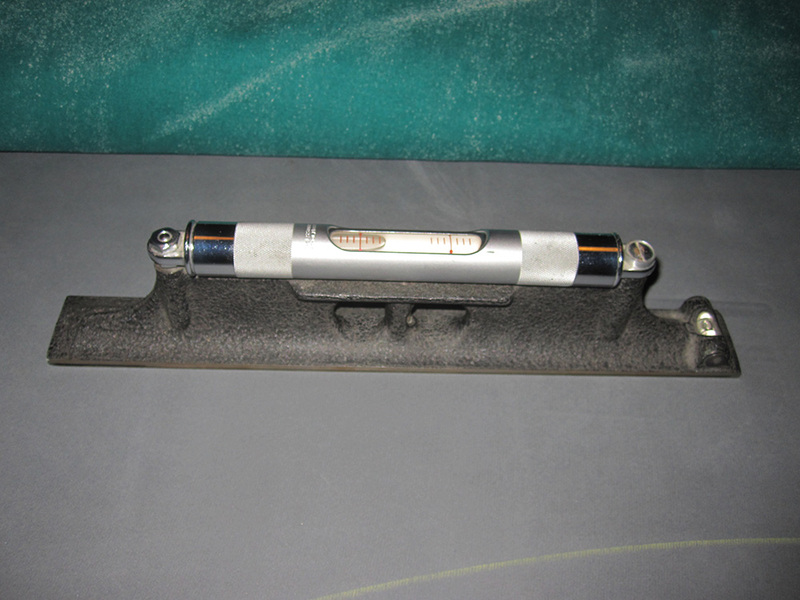 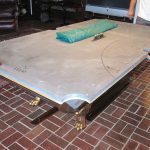 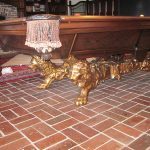 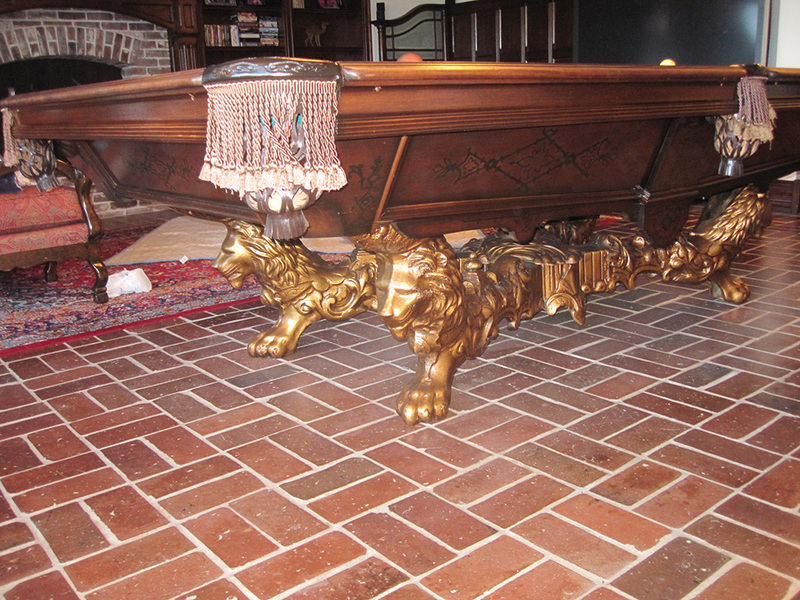 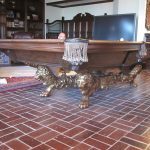 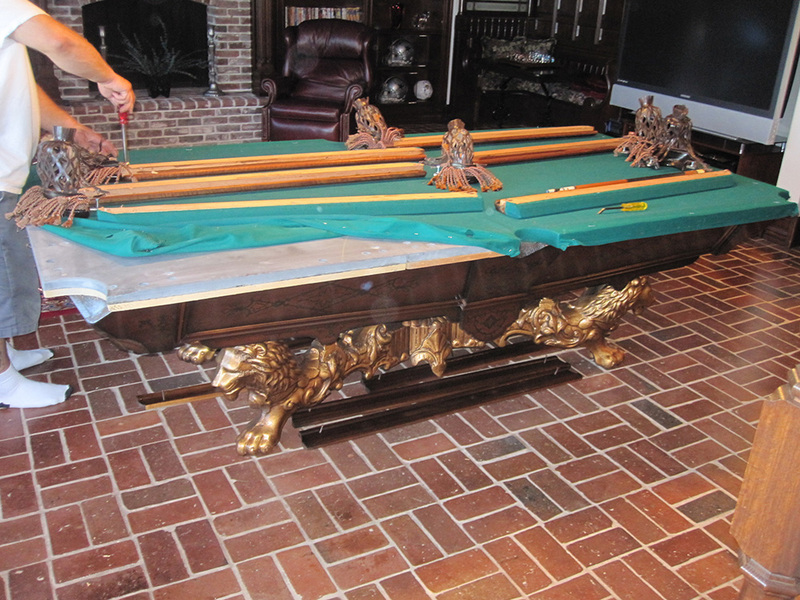 This pool table was manufactured by Golden West Billiards in Los Angeles, CA approximately 30 years ago. 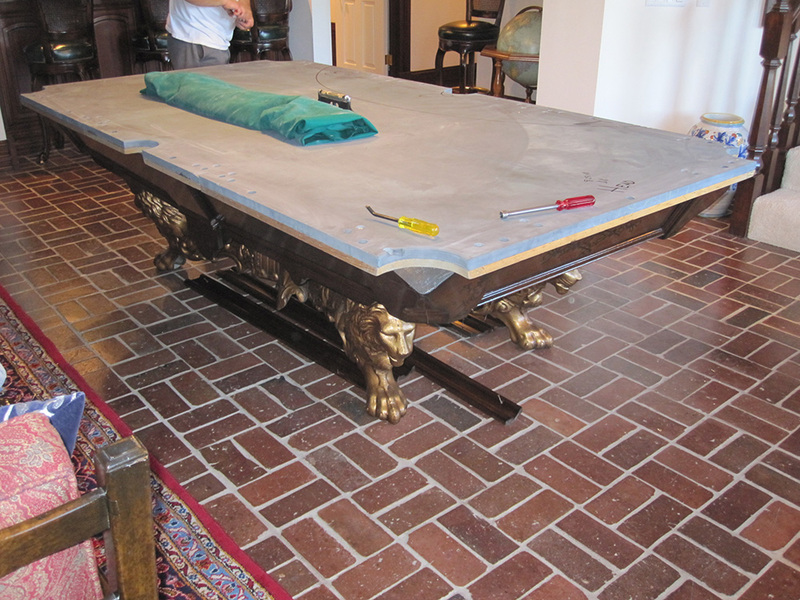 The pool table has never been serviced before, the slate and frame are in need of some pretty major re-leveling. 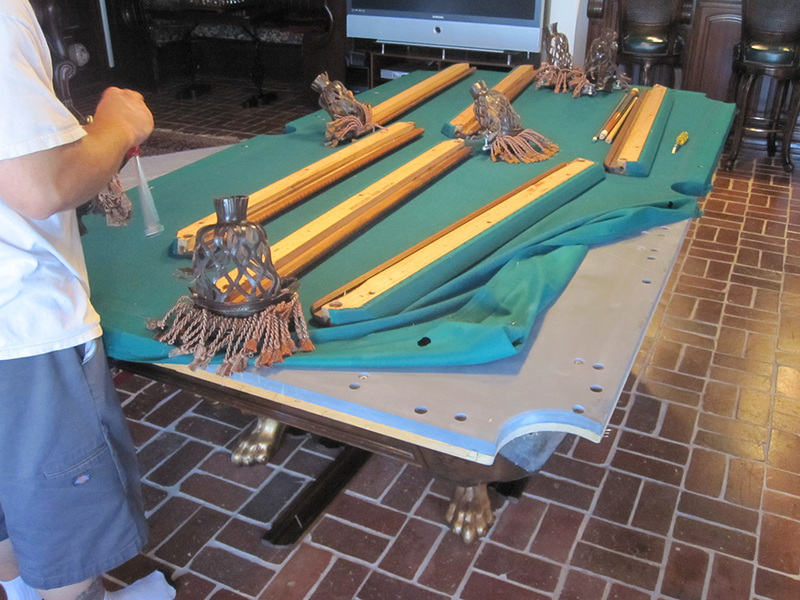 On this house call we disassembled the rails, blind aprons and pockets. 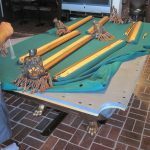 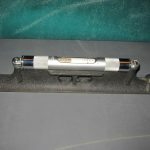 We will be performing most of the work in our shop.